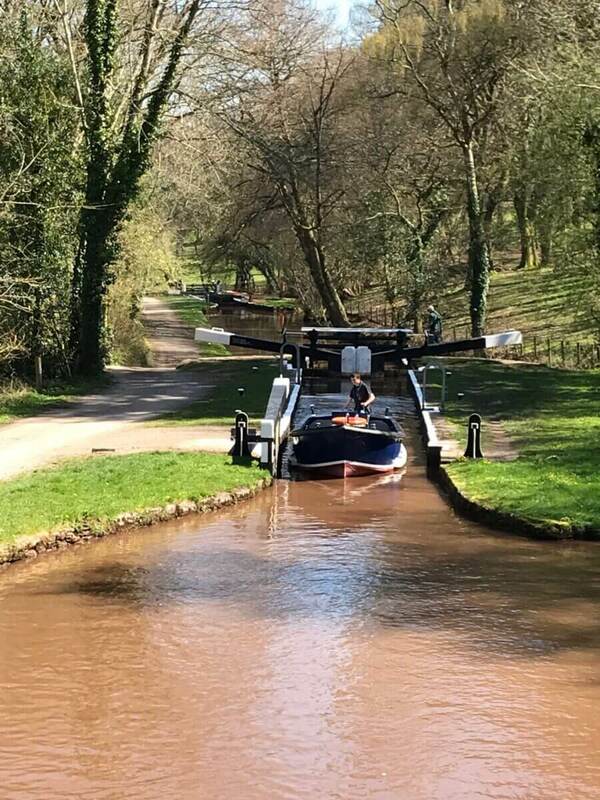 A couple of weeks ago we were asked to run a own boat Helmsman’s course on the Mon and Brec canal in Wales. What made this very special was that the boat was an ex Port of London Authority tender!! For once the weather was perfect and the scenery on the canal was spectacular. Coupled with the excellent company of Ben and his son Joe it was a memorable couple of days with some wonderful boating. We stopped for lunch on the first day at Brecon and moored up in the basin while we lunched at the small café in the theatre there. A wonderful spot indeed. The canal is very shallow in some places which makes passing wide beam boats coming the other way a bit of a challenge. Interestingly the instructions for the locks are to leave the bottom gates open and all the paddles closed even when you’re going uphill!! Ben and Joe intend to use the boat to offer a taxi / charter / workboat facility on the canal and we wish them the very best in their new venture.